​​ DALLAS – Mountain Creek Business Park will be expanded with the construction of two buildings, adding more than 150,000 sf of industrial space. 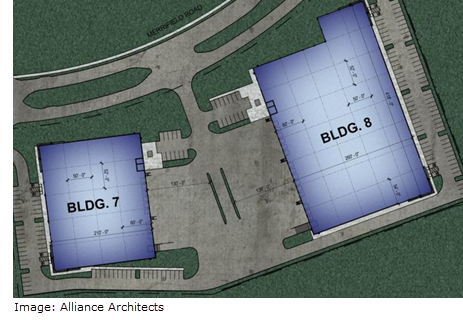 The two buildings—Mountain Creek 7 and Mountain Creek 8—will bring a 54,600-sf building and a 100,360-sf building to the business park, respectively. Completion on the two buildings is slated for spring 2018.